Where did I get it? I requested it from Capstone on Netgalley, but when I went to download the ebook, it said that the licence had expired. This isn't something I've seen before, so I tweeted Capstone and got a reply from Jennifer, who was really helpful. 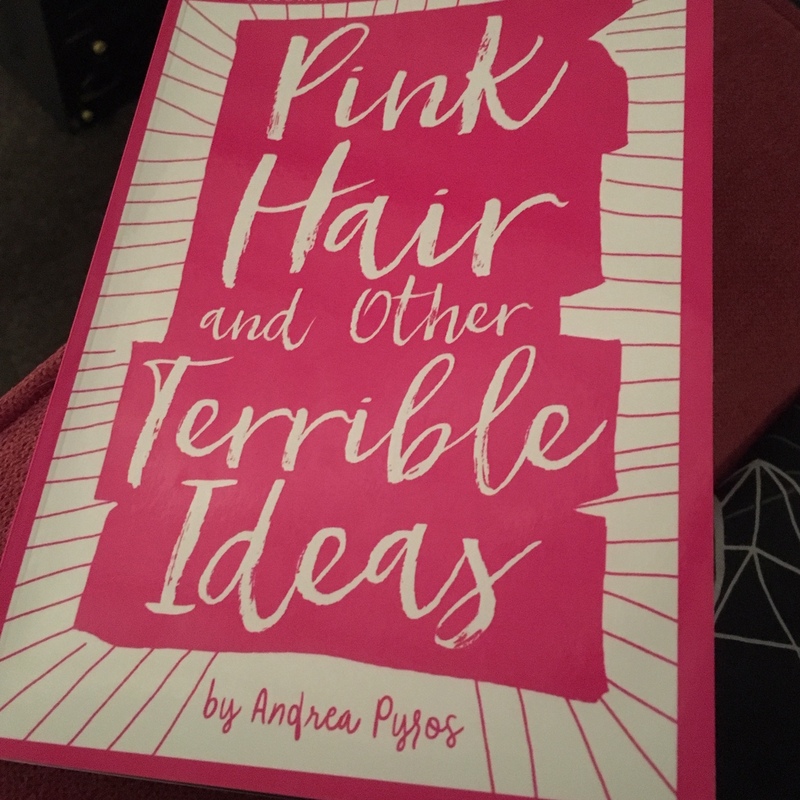 She said she would send me a physical copy of the book, which was really lovely of her! It arrived really quickly and I decided to pick it up straight away. Thank you Jennifer, you really went above and beyond! What's it about? Josephine is twelve years old and lives with her twin brother Chance and their mother. Their parents are divorced and their dad lives a couple of hours away so they don't see him too often. Josephine has a lot going on with a group of new friends, but then manages to get an invite to THE party of the year, where each of the girls can invite a boy. Josephine has a crush on her brother's friend, but feels nervous telling her friends about it! Then her mum reveals that she has breast cancer and will need treatment. Josephine doesn't want anyone to know, not even her best friend. She feels conflicted because while she's obviously worried about her mum, she's also still worried about her brother, her crush, her friends, and the party. Does that make her a terrible human? This is a really gorgeous middle grade book, I'm so glad I got to read it. I loved Josephine and her family, I thought the mother was one of the best I've ever seen depicted in a book like this. I liked Chance and his approach to life and how it was so different to Josephine's but how they came through for each other when it was needed. I thought the depiction of cancer was really well done - informative and clear but without sugar coating anything. I would love for there to be a sequel to this book, and if not then I'll definitely look out for something by the same author. Why did I choose to read it at this point in life? Well after Jennifer made sure I got a copy, I really wanted to return the favour and review it as soon as possible! Where is the book going now? I'm definitely keeping it - I mean look at that beautiful cover! 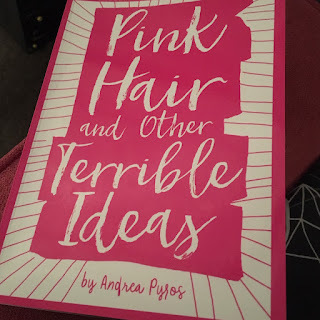 Pink Hair and Other Terrible Ideas is out in February 2019. I received a free copy from Capstone and decided myself to review the book, but all thoughts and opinions are my own.